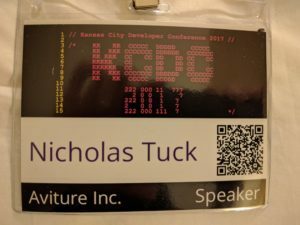 This was my second trip to KCDC and first time speaking there. This was my experience for 2017. The latter half of workshop day I took an app with only in memory models and fully integrated firebase; including in cloud database, authorization, deploying and authentication. I was very impressed with the amount of preparation this team put into the course, tons of hands on, non trivial examples, that caused me to learn. Martine Dowden, Michael Dowden, and Michael McGinnis not only did a great job building and running this workshop, they made for great conversations over the next few days and I am excited to have met them this time around. This is all to say, it’s been one of my more successful workshop days than I’ve had at previous and other conferences. The remainder of KCDC I was able to meet a ton of great speakers and attendees and this is my favorite part of any conference. Conversations included some great technical debate, philosophical takes on a/b experimentation on users as well as public transportation with autonomous cars vs buses and bike sharing services. I love learning things I didn’t intend to and have a fun back and forth with others in our extended communities. I also ran into old friends I didn’t expect and some I’ve only met online. Katherine Andersen and I gave two presentations at this year’s KCDC: Bringing Ingenuity Back to Engineering and Stop Iteration Bait and Switch. 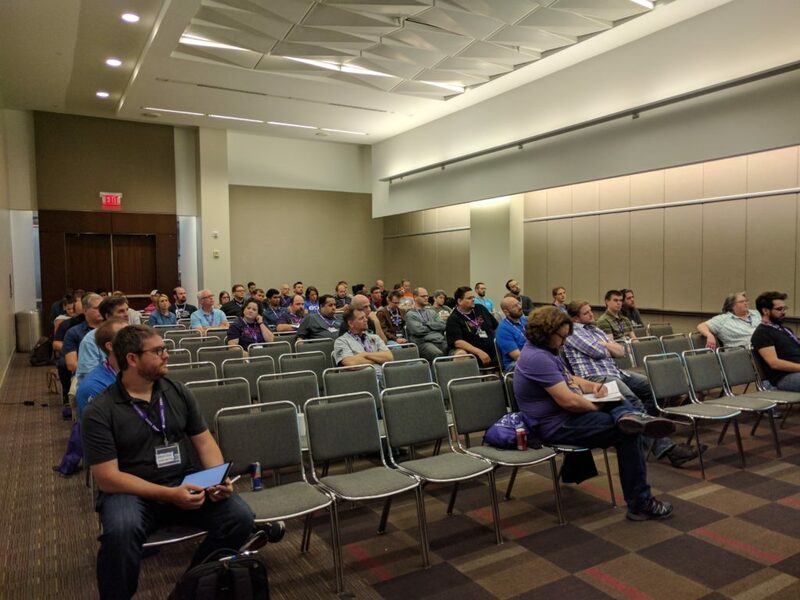 I think our execution of both went well, however attendance was disappointing for our ShipIt Day talk, our new one that we were excited to share with the community. Low attendance is feedback regarding time slot, competition, title, description and audience. We will try again before drawing too many conclusions. Our second talk, Stop Iteration Bait and Switch, had great attendance and we heard many positive comments and ideas of how others could apply these concepts in the workforce. This is the reason we share and this makes it worth while to continue. Overall, I am walking away smarter, with more connections to learn from and some ideas on how to apply concepts I took away from workshops and sessions. 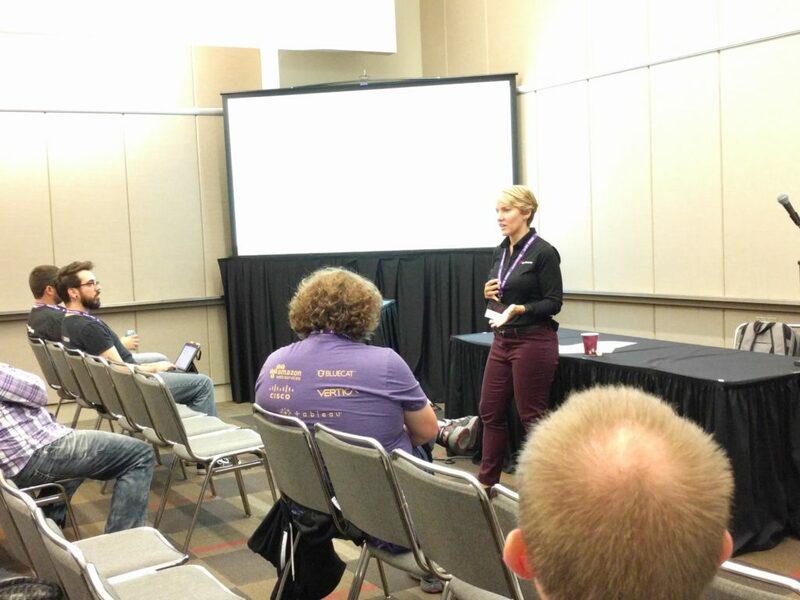 I appreciate the opportunity I was given to speak and attend KCDC and I hope they have me back next year.